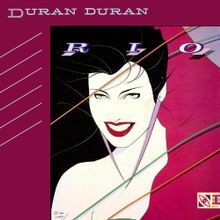 Never before has it taken Brian more than two days to edit an episode, but this week, while working on part two of the discussion of Duran Duran's classic 1982 album "Rio," it seems that he wasn't up to the challenge! But you know, years from now, when Brian & Sarah are two of the most popular podcast hosts in the world and almost everyone over the age of 40 either wears a P.R.P. shirt or sports a sweet P.R.P. tattoo, no one will remember that this episode was four days late - they'll just be really happy that it's available for download! So this week, your hosts finish up their discussion of side one, getting the opportunity to talk about some fantastic music, including the immortal classic "Hungry Like the Wolf." 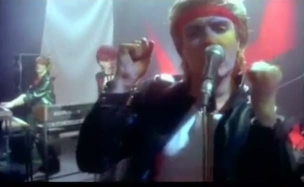 the incredibly disco-y first version of "My Own Way"
what's a better look - a red headband or a red scarf? 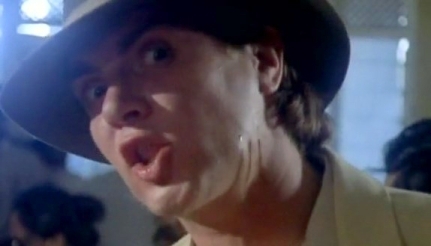 on which track does John Taylor's bass playing sound like a sea lion? how many times did they have to release "Hungry Like the Wolf" before it finally became a US hit?